If simplistic, yet glamorous, style is your go-to, then you'll love donning this textured bangle. 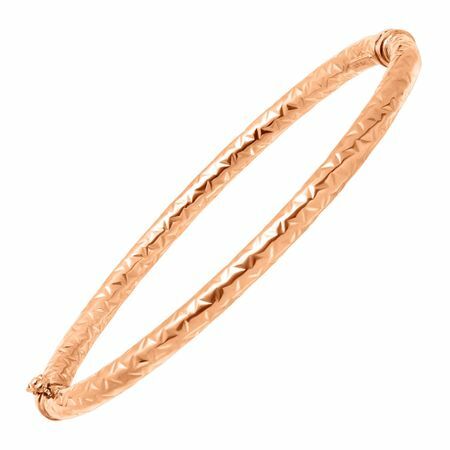 Crafted in 14K rose gold, this bangle features a diamond-cut, textured appearance with a hinge for easy wearing and a box lock for added security. Piece measures 7 by 3/16 inches.